Today I was doing my usual rounds at the pawnshops looking for anything musical. At one store I noticed a Boogie combo in the back. I walked up and saw the asking price and my F'n jaw dropped. I went straight to the sales clerk and asked if they could do better than the $405 asking price. I told them I'd give them $400 out the door for it. Oh well, I guess $5 off the asking price isn't bad I guess. A Dual Rectifier amp has NEVER been on my radar for amps, but at this price, I couldn't pass it up. I will with 4 channels and a TON of switches for all the tonal options, it's going to be fun finding all the tones. I commented on your HFC post, but man! That ranks right up there for Mesa deals! lockbody wrote: I commented on your HFC post, but man! That ranks right up there for Mesa deals! Given To Fly wrote: Pawn shops are weird. Yes, and I welcome weirdness on a daily basis. I don't know about North Carolina, but in Deep South Texas, we just got the internet 2 yrs. ago. People are just learning how to use them. They still don't know how to search the web for prices, so they base their asking price based on what they loaned. It's a gearfest every week in these parts. I'm running out of room to keep all my guitars. I have that same problem here as far as space is concerned. Too much of everything. The whole house is a man cave at the moment. I still have more guitars than amps but the amp count is catching up. As for local shops or not so local shops, nobody sells Mesa except for one place but they have a small selection as far as that goes and to boot they are 100 miles away I would have to drive to the other side of the state towards Ashville to find a dealer that may have more of a selection. Sweetwater seems to be easier as I do not have to drive a long distance to get it. It comes to me. As far as pawn shops, I would have to settle on crate, line6 or a $100 Fender mini amp that comes in a box with low cost fender strat made in china. Trust me, I have gone into many places even for drums, guitars, and amps. Nothing worth the asking price or even to haggle the price even it if it is for less than 50. Too bad the Roadster is discontinued. At least I have one... wonder what will be coming next? To bad I may want it as I have more than I need already. 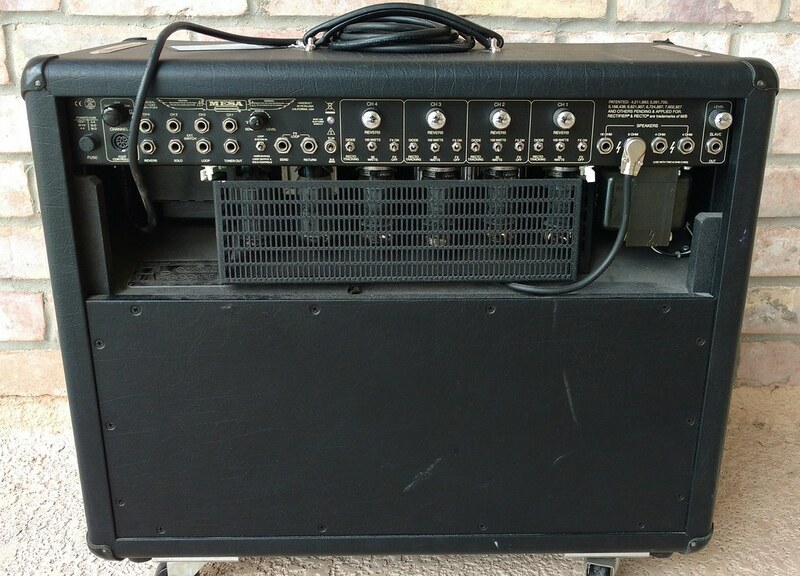 Trick to use to make that amp look like new (actually it appears in excellent shape). Turtle Wax ICE liquid synthetic wax. I use it on all of my amps as it does not leave any residue on the leather or vinyl covering, safe for plastics and painted surfaces. I even use it on my guitars too. Also helps with static reduction on the plastic pickguard of my super strats. Not sure if it is good with nitro finish though. All of my electric guitars are Carvins and they recommend an good quality automotive polish for the gloss finish. bandit2013 wrote: I have that same problem here as far as space is concerned. Too much of everything. The whole house is a man cave at the moment. I still have more guitars than amps but the amp count is catching up. Thanks for the heads up on the Turtle Wax. The over condition of the amp is really good, but a good clean up and waxing couldn't hurt at all. Unbelievable deal! For that price, I'd buy it, buy a head shell and cab and make it a stack and still be in it dirt cheap. Wow... just wow. I know the combos are getting harder to move due to weight... but still WOW! Congrats. Deal of a lifetime! Dreamtheaterrules wrote: Unbelievable deal! For that price, I'd buy it, buy a head shell and cab and make it a stack and still be in it dirt cheap. Wow... just wow. I know the combos are getting harder to move due to weight... but still WOW! Congrats. Deal of a lifetime! I've got an '84 MKIIC+ 60 watt combo, '84 MKIIC+ Fully loaded Simul-Class Bubinga/Wicker EV Combo, and an '83 MKIIC 60/100 watt loaded head. This amp wasn't even on my radar at all. Mostly because it weighs 100 F'N lbs. For the price, I just couldn't walk away. It will stay put in my home studio unless I buy a heavy duty dolly to transport it. Wow! That's insane! I was happy to pick one up for $1k. $400 is ridiculous. NeveSSL wrote: Wow! That's insane! I was happy to pick one up for $1k. $400 is ridiculous. 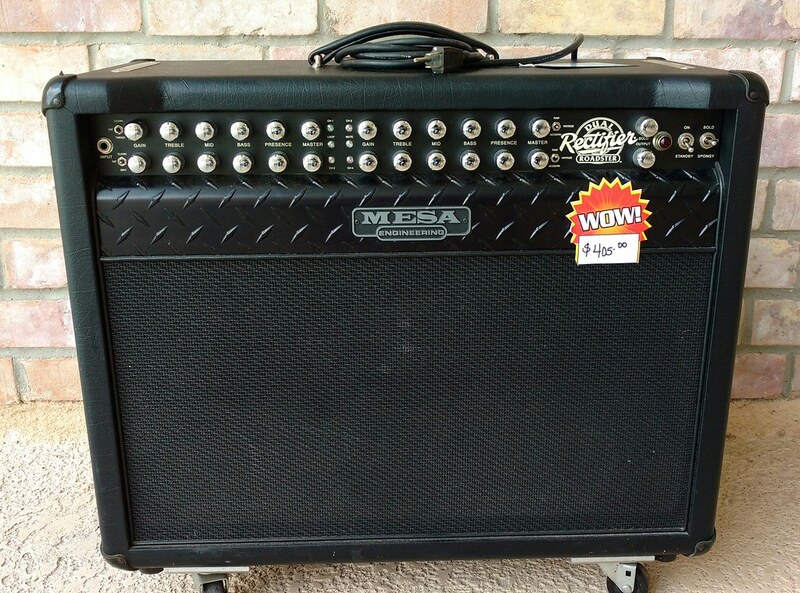 I really wasn't even in the market for another amp,but at that crazy price, who would pass it up. If I was in your shoes, I would not be able to pass it up either. Picking it up would be a different issue. I though the RA100 combo was heavy....... Glad I have the head version of the Roadster. bandit2013 wrote: If I was in your shoes, I would not be able to pass it up either. Picking it up would be a different issue. I though the RA100 combo was heavy....... Glad I have the head version of the Roadster. You're right. It's one heavy MOFO for sure. I'm really considering getting a head shell and use it as a head. I don't want to have to lug the beast out anywhere for a live gig. It's just fine in my home studio and unless I get the head shell, I'm just going to use it at home.